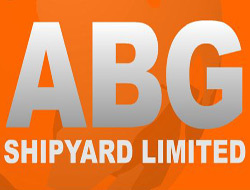 Stock market analysts have maintained 'buy' rating on ABG Shipyard Ltd with an intraday target of Rs 342. According to them, interested traders can purchase the stock above Rs 338 with a strict stop loss of Rs 333. If the stock markets remain on the positive path then the stock price will hit a target above Rs 350. Shares of the company, on Wednesday (Feb 03), closed at Rs 336.40 on the Bombay Stock Exchange (BSE). The share price has seen a 52-week high of Rs 341.70 and a low of Rs 62.45 on BSE. Current EPS & P/E ratio of the stock stood at 38 & 8.92 respectively. Private shipbuilding company ABG Shipyard is making discussions with international private equity players in order to sell its complete 15.2% equity stake in Great Offshore Ltd. The deal is expected to be finished by the coming six months. ABG Shipyard's CFO Dhananjay Datar did not disclose the identities of the PE investors the company is discoursing with. ABG Shipyard, via one of its divisions, Eleventh Land Developers bought 15.2% stake of Great Offshore thru an open offer recently. Credit Suisse (Singapore), on Jan 16, has acquired 1.31% equity stake in ABG Shipyard for Rs 186.38 million. The company bought aprox 668,513 shares of the company at the price of Rs 278.80 per share.